The Indulje coaster collection provides wonderfully practical and finely designed dinnerware that is made to enhance your everyday dining. Ideal for dinner parties with friends, special occasions or family meals, these superb coasters are made with luxury soft faux leather - designed to protect your table from scratches or heat from hot dinnerware. 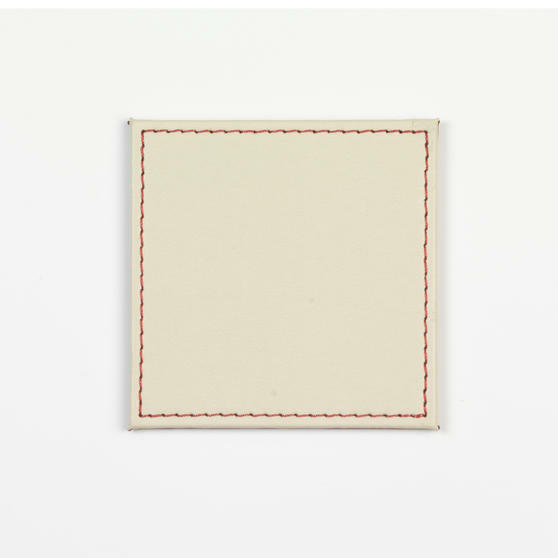 Featuring a superb red and cream reversible design, these square coasters are not only practical but will look fantastic in any dinnerware setting. 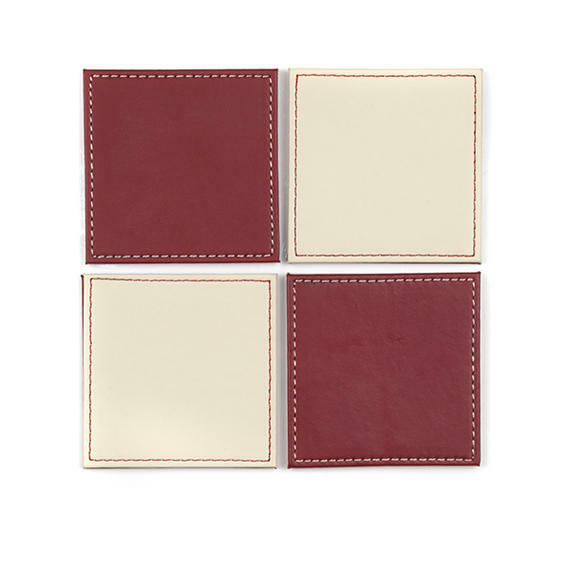 These charming Indulje coasters are guaranteed to look superb in any setting, adding a touch of sophistication to your dinner table. 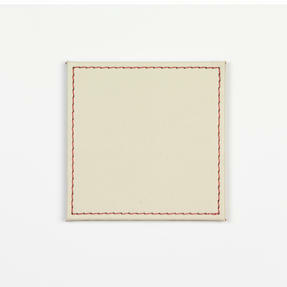 Measuring 10 x 10cm, each square coaster is made with a reversible red and cream colouring for a delightfully striking finish. 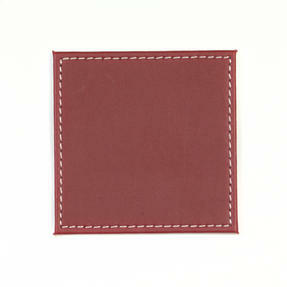 With a thickness of 5mm, the durable coasters are easy to store while effectively protecting tables from scratches, heat and mess. Use your coasters to protect your table from hot mugs or condensation from cold glasses, or to add some decoration and create a theme. 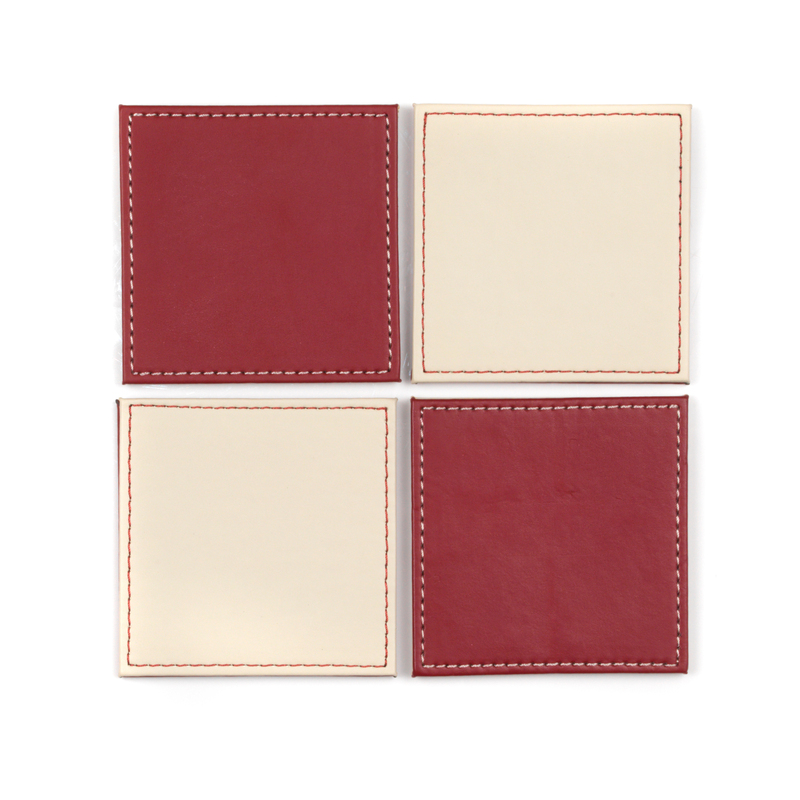 Perfect for special occasions or everyday use, the faux leather coasters have distinct square edges which will match most tableware.